Headlines are the key to getting your content read! With so much information available on the internet and beyond that you need to find a way to make yours stand out. Having Great content is critical to your success, but no matter how great it is, you need a way to attract people to read it! It’s estimated that between 5 and 10 times as many people read your headline as read your content. You content will ONLY be read if visitors are sufficiently engaged to want to read it. If you don’t have a great headline, and your pictures aren’t engaging, then I’m sorry to say no-one will ever read your content. Many top copywriters and advertisers recommend that you spend a minimum of 30 minutes writing your headline, and soms say you should spend as long on your headline as you do on your content. Your headline only has one job – to make people want to read your content. Lots of people spend lots of time and effort (and sometimes even money) driving traffic to their website, but when it arrives, a poor first impression (or perhaps a poor headlline) means that traffic just doesn’t hand around to read what you have to say. You don’t build a relationship. You don’t build your reputation as an expert because no-one reads what you have to say. All because of a bad headline! It can be hard to motivate yourself to spens time on a headline, but it really is time well spent! So What Makes Your Headline Stand Out? Unfortunately, there is no simple formula, but there is a lot you can do that will help. This is really important to understang how other people are doing it. Everyone who writes anything faces the same struggle to get it read, so you really can learn from how other successful people address the problem.. Successful writers KNOW that headlines are the key. Don’t just copy what someone else has written. that’s illegal. You can use it for inspiration though! ‘You’ll Never Look At Barbie Dolls the Same After You See These Paintings’. You need to make sure your title is relevant and accurate, and you need to deliver on your promise (which I think I have done by telling you just why headlines are so important! ), but yo can get your inspiration from anywhere. Also make sure your claim / promise is believable. I guess if you’re still reading, it worked! Look around you when you’re doing your research. Don’t restrict yourself to things that seem relevant. Immerse yourself in the masses of headlines that are all around you and learn from them. titles of blog posts that may you want to read. Create a library of headlines you can refer to whenever you’re stuck. 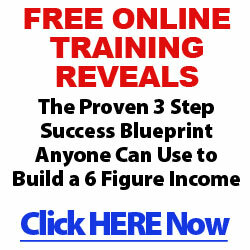 It’s an invaluable resource and it’s completely free! Personally, I often refer to some folders of material that has attracted my attention over the years. I save E-mails (that I receive from marketers that I respect) for future reference, and I arrange them by marketing campaign where I can. I use them as inspiration for blog posts and sometimes even ads or sales pages as well as for my own email campaigns. Just remember not to copy word for word – use the principles and the structure as a source of inspiration. And most important of all, remember that the headline determines whether anything else will get read. Someone who reads your content to the end is also much more likely to take action.